Summer is just heating up and that means one thing to me. Lavender. Lavender fields in the USA? They do exist! These days they are popping up in nearly every state. I’ve picked five that I think are truly unique. There is nothing quite like walking through a heady lavender field. As your senses take in the deep piney-floral aroma of the beautiful purple flowers, it’s easy for your mind to wander to the south of France. 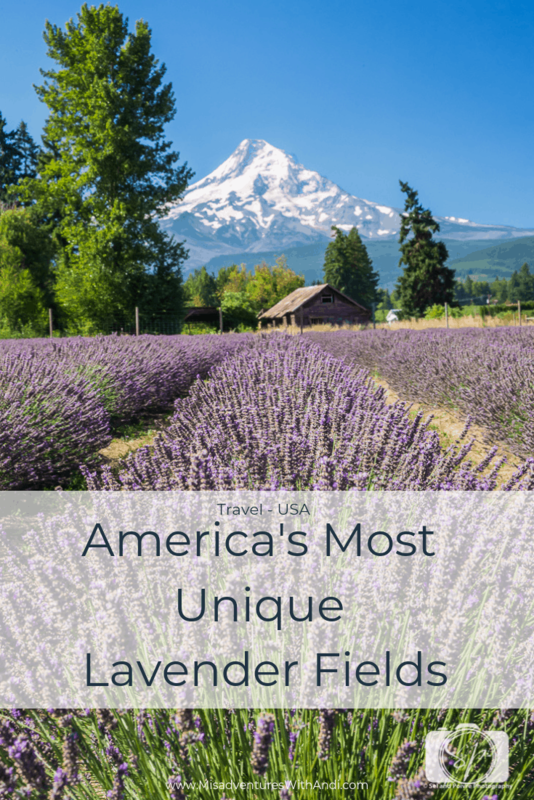 However, you don’t have to hop on a plane to Aix-en-Provence to visit a lavender field or farm, there are hundreds of lavender fields and farms right here in America! These days not only can you visit the lavender fields and farms, but you can also sample food with lavender, buy a lavender plant, buy lavender products. These American lavender growers have upped their game with restaurants, festivals and even inns on the lavender farm. I’ve been blessed to visit many of these spots throughout my travels and I’m a little addicted to the essential oils that come from these plants. Now, wherever I am visiting a state, I seek out lavender fields near me and I’m always surprised where this sturdy plant grows! 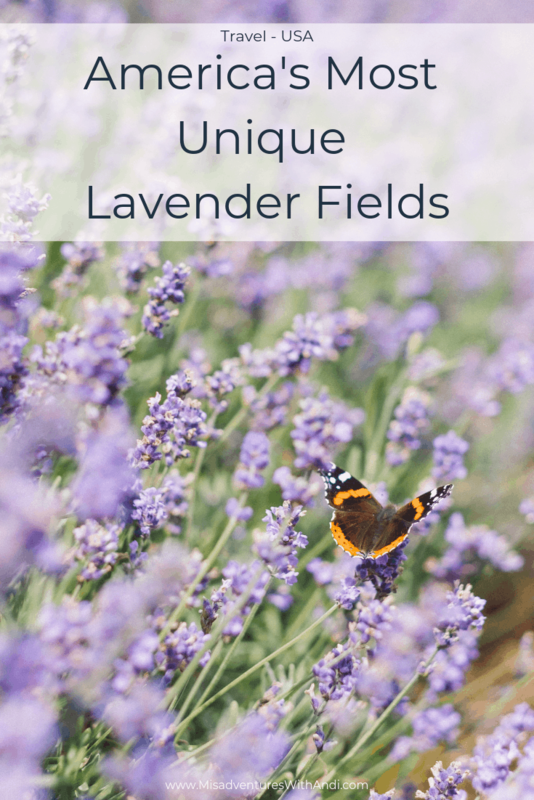 I hope that my small sampling of fields and farms will encourage you to seek out lavender farms in your area. I am a big proponent of supporting local farmers, lavender included! Ali’i Kula Lavender Farm. Photo credit: N1DO. Thinking of Hawaiian farms, pineapples probably come to mind. 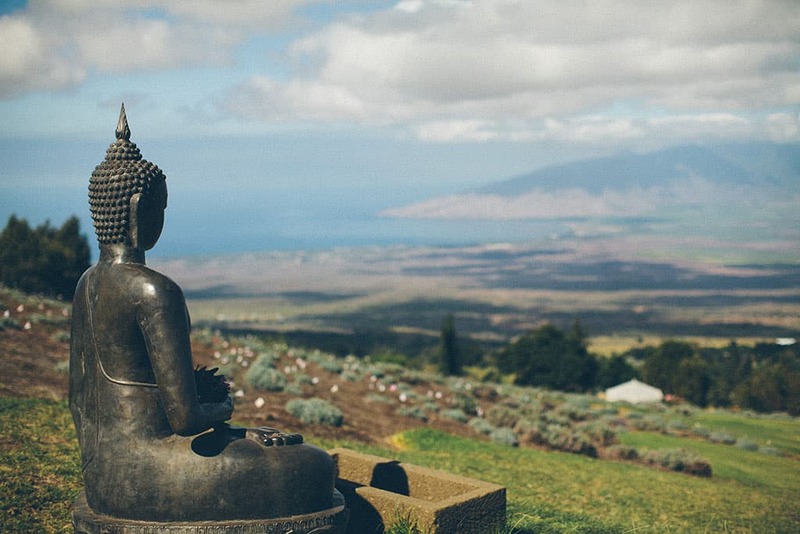 But on the island of Maui, there is a stunningly beautiful lavender farm with ocean views on the slopes of Haleakala. Not only does Ali’i Kula Lavender Farm grow 45 different varieties of lavender, but they also serve amazing scones with lavender jam and lavender tea. Guided Walking Tour which takes 30-40 minutes at 9:30 am, 10:30 am, 11:30 am, 1 pm and 2:30 pm daily, the cost is $12. Guided Cart Tour which lasts an hour. You get to see more of the 13 acres this way. Tour times are at 10:30 am and 2 pm, the cost is $25. You can also do a Gourmet Picnic Lunch with a choice of sandwich or wrap, chips and a lavender-infused dessert and choice of beverage. I recommend the lavender lemonade straight from the lavender field! The cost is $26 and required 24-hour advanced reservations. Located in the San Juan Islands north of Seattle, this 25-acre organic farm includes a lake and has great views of the Olympic Mountains. The lavender fields are open year round, there is no admission price to visit them, yep, absolutely FREE! 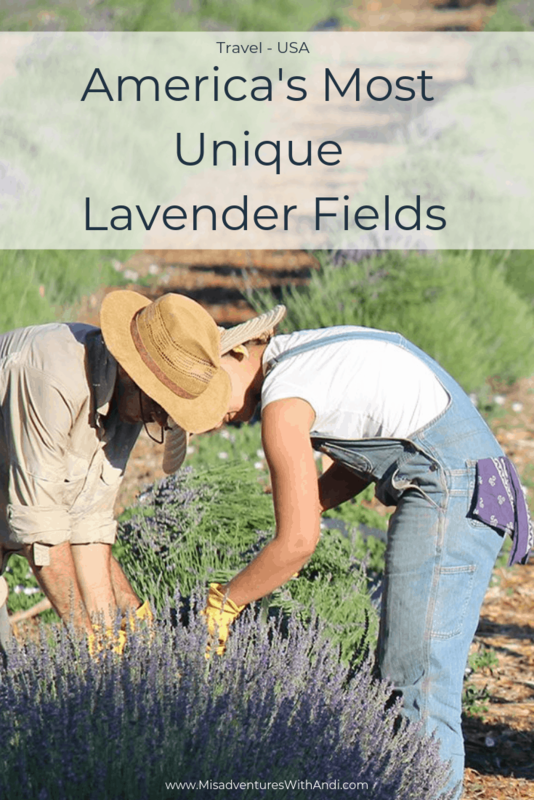 They have a demonstration garden, distillery visits and exhibits in addition to workshops where visitors can learn to make lavender crafts from Pelindaba Lavender Farms lavender! 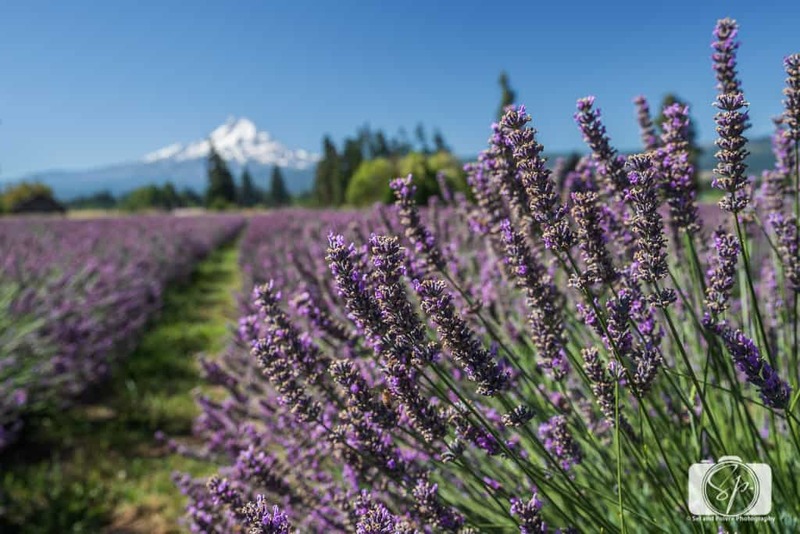 The best time to visit the lavender fields to see them in full bloom is in July and August, that’s also high season for the San Juan Islands in general. The hours of operation are listed below, but these are for the store and exhibition area, you can visit their lavender fields 24-hours a day! Pelindaba has a picnic area (or eat amongst the fields), you need to bring your own lunch or dinner, but they have lavender lemonade, iced tea, ice cream and cookies on site. 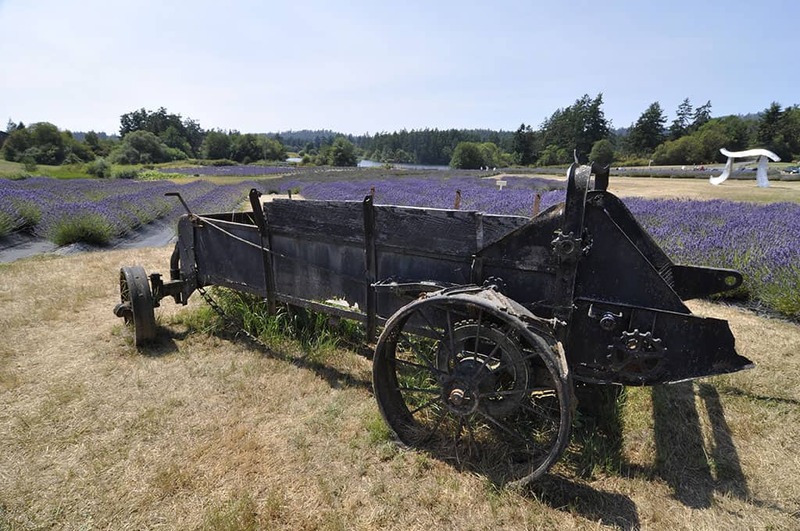 Pelindaba Lavender Farm is on San Juan Island (the one with Friday Harbor) on Wold Road in the southwest portion of the island. Look for a white Gatehouse Store with a cupola and spire on top! There is also a store in town at Friday Harbor at 150 First Street where you can buy (and taste) their products. For a magnificent photo opportunity, look no further than Lavender Valley Farm in Mt. Hood. They are located about 90-minutes from Portland and every angle of the farm offers views of the majestic Mt. Hood. There is a unique microclimate in the Hood River Valley area. The winter months are not too cold and the summer months are dry and warm. This makes it ideal for all the wonderful fruit that is grown there and it’s an ideal climate for lavender. Lavender Valley has over 15,000 lavender plants in bloom in June thru July (exactly the time of year we visited!). 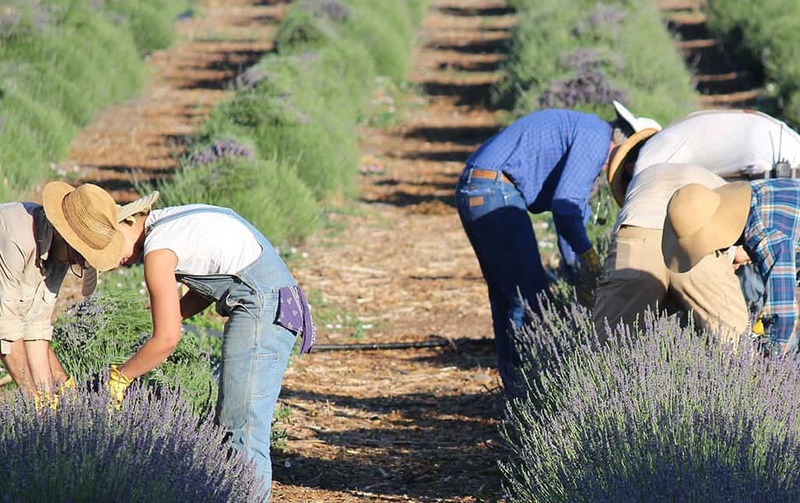 The farm team starts distilling lavender essential oil starting in July. 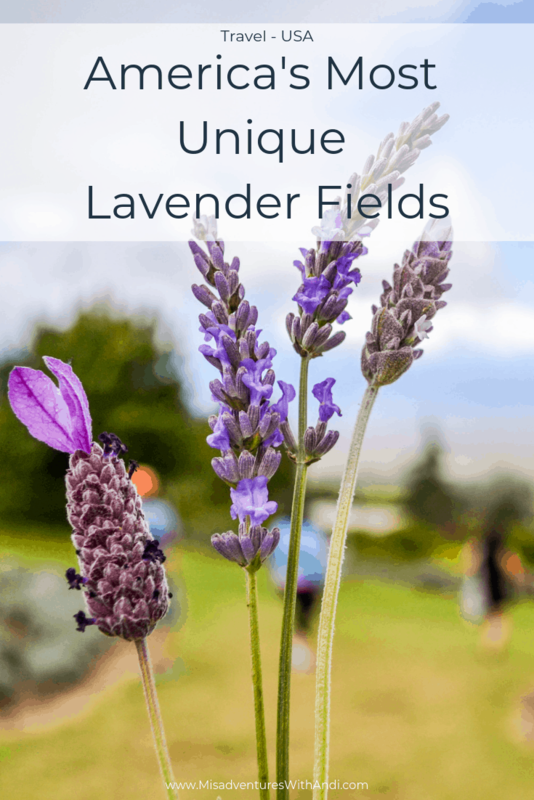 The farm grows 10 different types of lavender on their 25 acres and visitors can harvest bouquets from their lavender fields and enjoy lunch in a family picnic area in between photo shoots. It’s nearly impossible to take a bad shot! 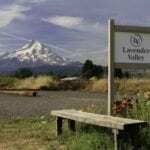 Lavender Valley Farm is located at 5965 Boneboro Rd, Mt Hood, Oregon on are open 7 days a week from 10 am to 5 pm. You can see the red rocks from the lavender fields at Red Rock Ranch. Photo credit: Red Rock Ranch Farm. This one is right in my own backyard! 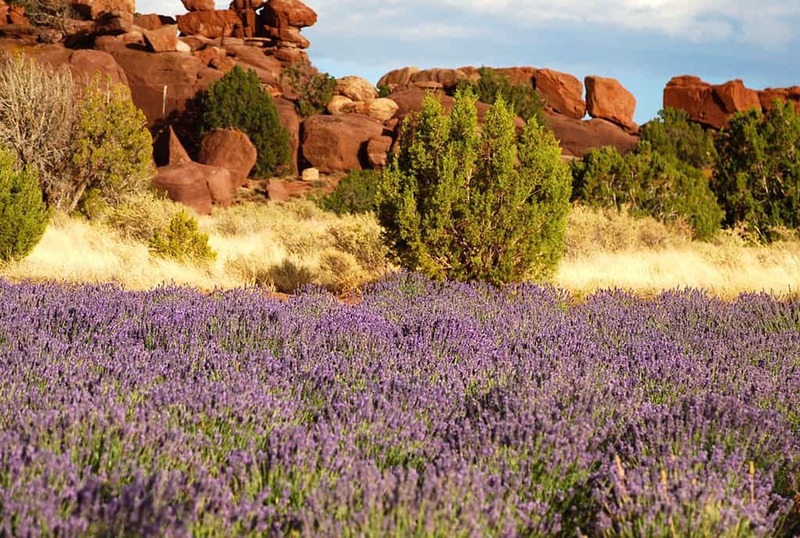 Home of the Arizona Lavender Festival, the last place one might expect to find lavender fields is the red rock desert, however, that’s exactly where the Red Rock Ranch is. Grown in the White Mountains, it’s the largest farm in the Western Hemisphere, the high altitude is said to produce flowers with higher ester content resulting in lavender with greater intensity. The lavender fields are off the beaten path, or AZ-180A to be exact. You leave that route at Mile Marker 352 and it’s best to stick to the direction on their website from there! 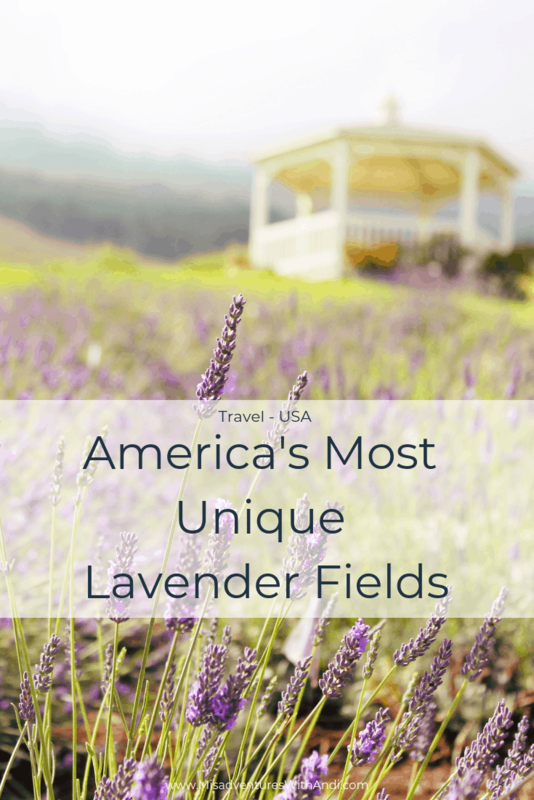 These lavender fields have a little bit of a bonus, there’s also a vineyard on the grounds! You can only visit the farm during the Lavender Festival which is held the last 2 Thursday-Sundays in June. There are 2 festival packages: VIP (which includes some wine tasting) and the “regular” Festival pass. However, if you miss the festival, the vineyard and winery are open throughout the summer (you will need some cool refreshment to beat the heat) and you can see the lavender when you visit the vineyard. How about living amongst a lavender farm if only for a weekend? Los Poblanos is not only an organic farm but also a historic inn designed by renowned architect John Gaw Meem near Albuquerque in New Mexico. Plan a visit during June or July when their Lavender Labs educational workshops are taking place. There are 25 acres of lavender fields and gardens, this organic farm is something to experience! Los Poblanos is not open for you to wander in (darn it, I know!). You must either be a guest, eating breakfast or dinner at their award-winning restaurant or visit by booking one of their many tours. They are located at 4803 Rio Grande Blvd. N.W. Amazing places, right? It wasn’t until I visited my first one in Hawaii that I even realized there were lavender fields in the USA and ever since then I’ve been hooked! 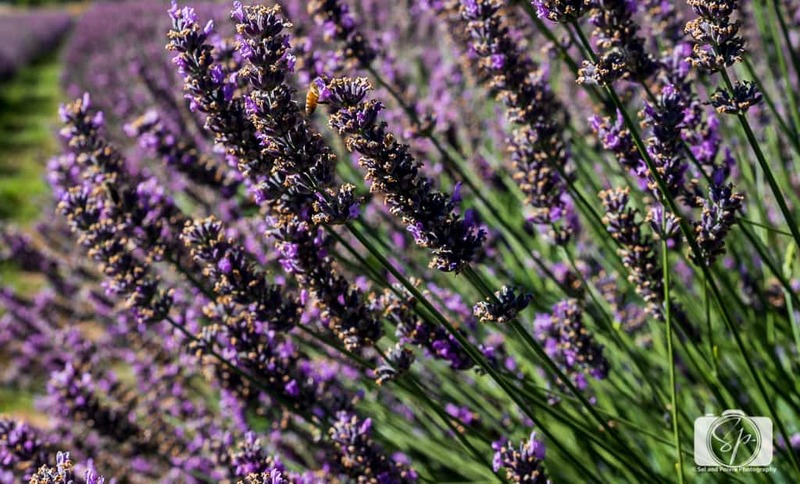 Not only are these unique spots with their natural beauty and refreshing scent, consider the health benefits of this purple flower. Many of these farms produce lavender oil which has antiseptic and anti-inflammatory properties. Lavender oil has also been used for treating anxiety, insomnia, depression, and restlessness. All of these unique lavender fields sell small batched artisanal products and food. All of them have tours and offer areas for picnics and relaxing. A visit to any one of these destinations affords an extraordinary experience of scent, sound, and taste. How about you? Have you been to a lavender field or lavender farm in the USA before? Or maybe somewhere else in the world? Tell me where? Did you enjoy it? Do share! Would you consider a visit? My husband and I have been to the Peace Vally Lavender Farm in Bucks County, PA. It was truly breathtaking. It’s my all-time favorite scent and it was so much fun to come home with infused bath oil and also honey. If we’re ever close to one of the farms mentioned here, you can bet we’ll go out of our way to visit! WOW, I did not know there was any lavender farms! I bet they smell so refreshing, I adore the lavender scent. It is such a relaxing scent, I would love to make a few visit to these farms! I have never been to or heard of a lavender farm. I would like to visit the Lavender Farm in Mt. Hood. It looks like a lovely place. The pictures are definitely worth the trip! But, who am I kidding, all of these places would be a sight to behold! Oh wow. I had no idea the lavender farms were so big. What beautiful photos. I learned so much from this post all about lavender farms. thank you for the information. Maybe I can visit a lavender farm one day. Oh my goodness, I haven’t been to a lavender farm yet so these images and places make my heart swoon! it looks freaking amazing! I will definitely take note of these ones as I’m heading to the USA this week. Thank you! I am obsessed with lavender and would love to visit a lavender farm! I bet it smells amazing! And your pictures are incredible. I am definitely adding a trip to a lavender farm on my bucket list. Thank you for sharing. I think lavender farms are absolutely exquisite. I don’t know what I never thought of actually visiting one! Will definitely have to choose one from the list you provided – what a wonderful photo opportunity it would be to visit one. @Lisa, there are farms in almost every state so you shouldn’t have to go far to see one. How gorgeous!!! The lavender farms remind me of our Texas bluebonnets! Blooming everywhere in site. I never realized Lavender farms were so big. I would love to take some photos of those, such a beautiful purple. @Tina, there are lavender farms in Texas too so you definitely could get some great photos! I love that I can visit Lavender Farms in the US! I love lavender! I’ve seen advertisements for lavender farms here in Virginia but haven’t been able to find them yet. But I’m still on the hunt! 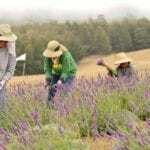 @Kristin, check out White Oak Lavender Farm in Harrisonburg in the Shenandoah Valley. We have a lavender farm 25 minutes outside Palm Springs Ca. There is a small hotel there. It used to be a famous train stop and Einstein used to visit it was a retreat and lecture hall at one time. It’s really old but beautiful. It is now a farm to table experience. @Candi, that sounds amazing, I will have to check that out asap! This is so beautiful. I have always wanted to visit the lavender farms. This just provides even more inspiration on where to go and motivation to just go! @Allison, there are farms all over the country, probably something near you! Gorgeous I love the purple colour!!!! I would love to stroll over through a beautiful lavender farm. They are so beautiful! The lavender farm is so beautiful. I would love to visit. These lavender farms are gorgeous. I have not thought about visiting one prior to reading this post. If I am ever close to one visiting will be a priority. @Christy, they have them in every state (if you are from the US) so it is easy to plan an outing. They look so beautiful! I can imagine the scent. Those are some very beautiful lavender farms. I bet they smell heavenly as well. Beautiful! Can’t wait to visit! 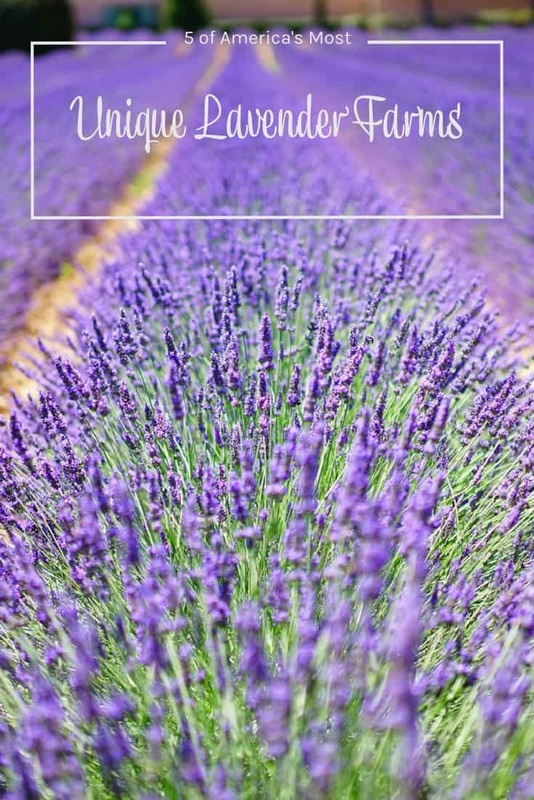 I love lavender – it would be really cool to visit a lavender farm! Thanks for the post i never knew they had lavender farms,sure are beautiful ! Very gorgeous! I love love love lavender! I actually grow lavender myself at my home for my homemade bath and body products,. Very cool to see photos of an entire field full so gorgeous! I love coming back here and looking at the beauriful photo with all the lavender, absolutely beautiful! Relaxing place, very colourful and nice smelling place I bet. I just visited one in Missouri and heard about a great one in Wisconsin. There’s also one outside of pHiladelphia. We have more exploring to do! We always wanted to visit Keys Creek Lavender Farm when we lived in San Diego but we never made it happen. I love your photographs. It makes me want to go. 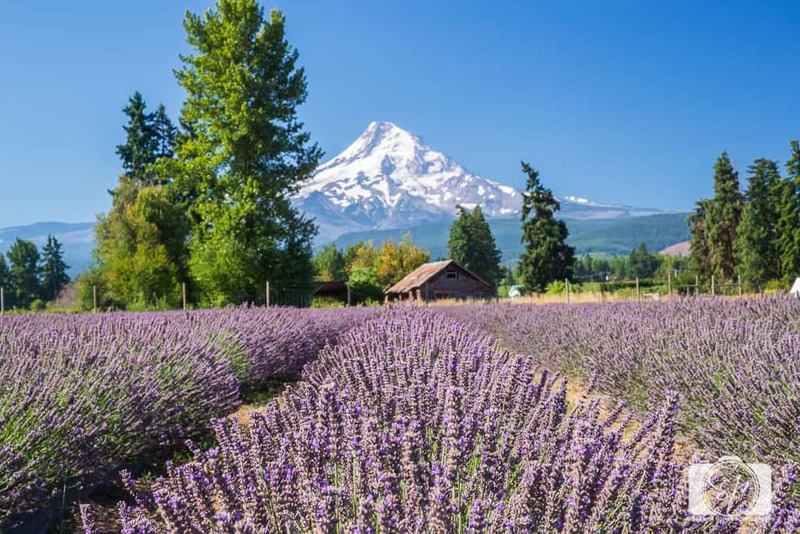 I love the lavender fields by Mount Hood. Gorgeous! Looks like I’ll have to make a trip to the west coast to see these, but what a sight. I had no idea these places were in the US too.